The Tort Claim is the claim you make against the person who caused the Accident. Determining who was at fault in a Motor Vehicle Accident means figuring out who was negligent, and thus responsible for causing the accident. Failure to use reasonable care while operating a motor vehicle constitutes negligence. If you have been injured in a Motor Vehicle Accident and it was all or partially the fault of another vehicle you may have a Tort Claim against the owner and driver of the vehicle at fault. Tort Claim must be commenced by the second anniversary after which you discover or ought to have discovered that you have sustained serious impairment as a result of the Motor Vehicle Accident. If you have been injured in a Car Accident, Truck Accident, Bus Accident, Motorcycle Accident or other Motor Vehicle Accidents as a driver, passenger, bicyclist or pedestrian, and it was the result of someone else's negligence, you may be entitled to recover monetary damages for pain and suffering, payment or reimbursement of reasonable medical expenses incurred or which will be incurred in the future, some of out-of-pocket expenses and lost income, as well as lost of future income and loss of the ability to earn income. Sometimes you may be able to recover compensation even if you are partially liable. 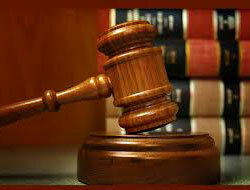 Tort Claims often involve complex issues of evidence and insurance law. Only an experienced Personal Injury Lawyer will be able to assess your claim properly and to achieve the maximum possible compensation in any individual case. to 647-340-2899, or complete the form on our website in order to get a free consultation. You pay only after you receive compensation.